The information below comes mainly from Kruuk (1995), Kruuk, Kanchanasaka et al (1994) and A Close Encounter with the Otters of Sungei Buloh. 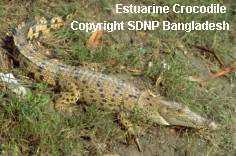 Estuarine (Salt-Water) crocodiles are the only likely predator. These animals are too small to interest the top range predators such as tigers, and too ferocious for smaller carnivores to bother with. Even in turbid waters, otters would detect approach by predators using their whiskers to monitor water currents. 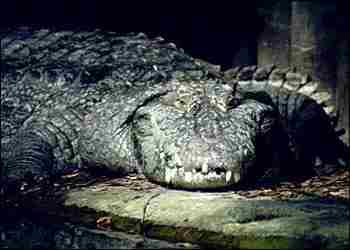 The only likely predator would be a crocodile that approached in muddy water, and snatched an otter from the bank. Lutrogale perspicillata shares its range with combinations of three other otter species: the Small-Clawed Otter (Amblonyx cinereus), the Eurasian Otter (Lutra lutra) and the Hairy-Nosed Otter (Lutra sumatrana). 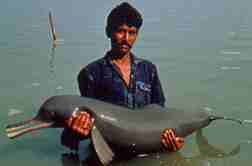 Other competitors for fish include the Mugger Crocodile (Crocodylus palustris), the Indian Gharial (Gavialis gangeticus), the Ganges and Indus River Dolphins (Platanista spp. 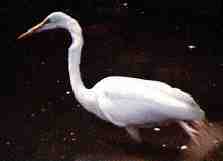 ), turtles, larger fish, and birds such as the heron, kingfisher and egrets.